Three years after welcoming international energy efficiency service provider, Mark Group, to Philadelphia, Mayor Michael A. Nutter today announced the company’s aggressive plans for growth in the US, including the piloting of a new groundbreaking energy efficiency program and expansion at the company’s Philadelphia Navy Yard headquarters. The company’s growth includes adding more than 30 new jobs over the next 18 months, representing a 20% growth in its workforce. Mark Group is a partner in Mayor Nutter’s trade mission to the United Kingdom and sponsored a roundtable discussion in London that brought together leading energy efficiency and built environment executives to share best practices and hear how Philadelphia is positioning itself as a natural hub for energy efficiency companies and research organizations. At the session, Mark Group executives talked about plans to open new offices in Pennsylvania, New York, Connecticut, Massachusetts, the District of Columbia and Virginia over the next 18 months. Mark Group provides energy efficiency assessments to property owners and installs insulation, air sealing measures, HVAC upgrades and replacement windows. The company plans to add energy efficient lighting and home controls to its customer offering. Mark Group also announced the launch of Comfort PaysSM, a pioneering energy efficiency home improvement program that provides homeowners with increased comfort from day one with a guarantee of no impact on the household budget and the convenience of one consolidated bill. This residential energy saving contract represents a leap forward in the industry, and Mark Group is proud to administer and launch the program in Philadelphia. Mayor Nutter welcomed the launch of a new program during the energy efficiency session in London. Mark Group opened its Philadelphia Navy Yard headquarters in October 2010 with seven employees. The company has since grown to be the largest energy efficiency company in the Greater Philadelphia region and is the leading contractor for Philadelphia Gas Works to deliver energy efficiency services to Philadelphia residents. Since January 1, 2011, the Company has helped more than 3,000 homeowners in the region save energy, save money and live more comfortably. 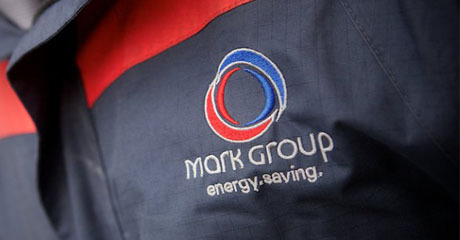 Mark Group currently employs 155 people. To follow the Philadelphia trade mission to the United Kingdom and Israel visit https://phlinukandisrael.tumblr.com/. Founded in 1974, Mark Group is a leading provider of energy efficiency services for the residential, commercial and utility sectors. Its fully-integrated offering includes energy efficiency analysis and installation of upgrades, to deliver a consistently high service level to its customers. 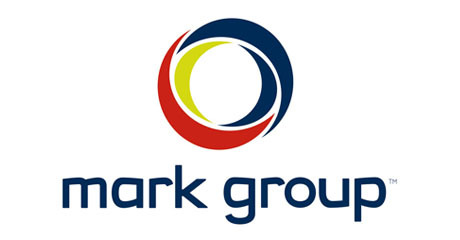 Mark Group employs 2,500 and operates from 30 offices worldwide including the U.K., Australia and New Zealand. The company directly employs and trains its workforce from its North American headquarters at The Navy Yard Clean Energy Campus in Philadelphia. www.markgroup.com.